You'd not expect this at the end of a country road -- stones crackling, trees bending, and through the thicket, green rolling hills and mountains beyond, stretched beneath soft clouds patched across the cerulean sky -- but this is where you will find the immense (by Virginia standards) Stone Tower Winery, a rare feat of a winery that manages to perfectly blend its big, fun atmosphere with seriously well-made wine. 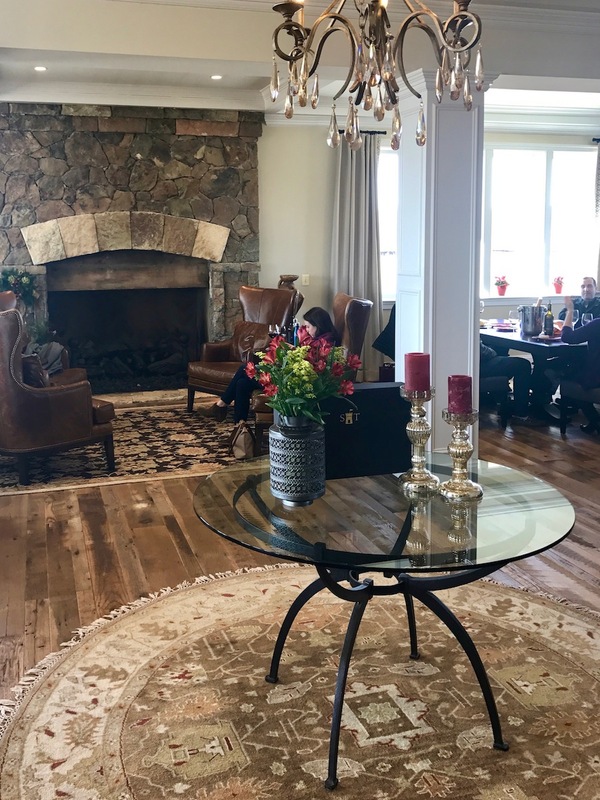 Stone Tower, it seems, is absolutely the winery that Virginia needs at this point in its development as a truly great wine region: 306 acres worth of room to grow, a knack for delighting throngs of visitors, and a real devotion to making quality wine. This is where you go with a group when you want to have a fun time, but aren't willing to sacrifice your wine standards to do it. Having only produced its first (quite good) estate bottle with the 2013 vintage, Stone Tower remains nearly four years later a relative newcomer in a state whose wine making is better known for intimate small production, albeit high quality, wineries. Indeed, the Commonwealth (as Virginia is known) sits comfortably in fifth places among states with the highest number of wineries, but does not crack the top ten in gallons of wine produced annually. It is against this backdrop that we find Stone Tower occupying a unique niche in the community of great Virginia wineries. Where Barboursville Vineyards is several hours from Washington, DC, Delaplane Cellars (no more than six people in your party) and RdV Vineyards (advanced reservations required) are are rather exclusive in their own ways, and Glen Manor and Zephaniah Farm are small, Stone Tower is 45 minutes from the city, approachable even for the most novice wine drinker, and easily able to welcome hundreds of visitors at a time. 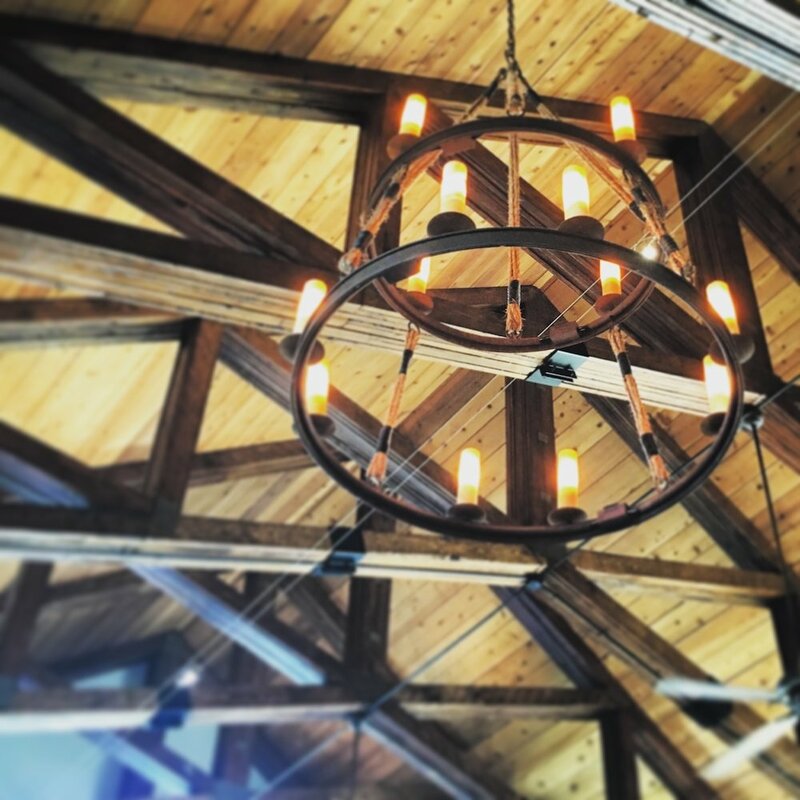 Its Harvest Barn is built for families, pets, and picnics. Its Tower View Tasting room offers plenty of space and beautiful views to visitors twenty-one and older, and the attached Wild Boar Hall hosts Tower Cru winery club members and their guests in an elegant setting marked by a stately fireplace and character-laden distressed hard wood floors. As we look at tasting notes, it's important to know that Stone Tower produces wine with two labels. Their very approachable Wild Boar Cellars wine is made from grapes sourced worldwide, and increasingly from Virginia. The higher end Stone Tower Estate wines are of course made exclusively from grapes grown, harvested, bottled, and aged in Stone Tower's vineyards and winery there atop Hogback Mountain (the reds from this lineup are also quite age worthy, so consider hanging onto them for a few years). The tasting notes below reflect some of our favorites right now (Spring 2017) from their quite diverse lineup. We'd characterize this as being very rosé. There's something a bit Old World about the nose, some degree of French styling that we had difficulty putting a finger on. More dry than the edition being poured back in 2016, this Pinot Noir driven sparkler boasts lovely notes of strawberry rhubarb pie and pomegranate. Enjoyable before, during, and after dinner, but we'd recommend uncorking it to begin a spring or summer evening with friends. The grapes for this Viognier were grown in Orange County, Virginia, in vineyards only about ninety minutes from the winery. Distinguished by crisp, refreshing banana and pear fruit on the palate, we found it to be an incredibly versatile Viognier with a nice blend of acidity (for food) and viscosity (for body). It possesses the texture of a sweeter wine, but without a lot of sugar, making it a bottle that should please drinkers across the sweet to dry spectrum. 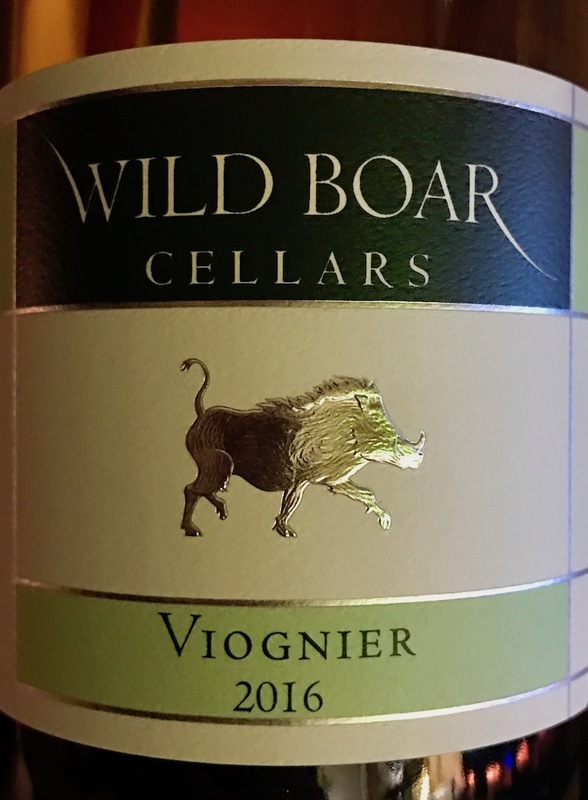 Same grape as the Wild Boar Viognier, but grown there at Stone Tower Winery, this lovely estate wine is aged for about eight months in a 50/50 blend of French and American oak barrels (including some "neutral", i.e. barrels that are several years old). A definite food wine, we loved the really pronounced coconut notes in the palate. Try pairing it with oysters and white fish dishes. We transition to the reds with a grape we don't often see being poured at Virginia wineries. No wonder, for we are told that the grapes that originated this bottle come from Mendocino and Lodi in California. Deep and inky purple in color, cranberry and chocolate leap out in the nose. Soft tannins mingle with notes of smoldering wood as you drink. Serve this just below room temperature. This Bordeaux-style blend is made from 60% Cabernet Sauvignon, 20% Malbec, and then rounded out with Petit Verdot, Cabernet Franc, and Merlot. We think this big wine is still too young to be drinking right now, but we've included it on this list as a wine to watch. Consider tucking it away and keeping it safe for a few years. 2014 Stone Tower Estate "Wind Swept Hill"
Decant this estate blend of Cabernet Sauvignon, Cabernet Franc, Merlot, and Petit Verdot for two hours before you drink, because it definitely needs some time to open up. Actually, we'd give it a few years in the bottle, but we do see the makings of really creamy red fruit, and some lovely coffee notes in the finish. Nice. 2014 Stone Tower Estate "Hogback Mountain"
The second edition of Stone Tower's flagship estate wine first made in 2013, Hogback Mountain is blended from 56% Cabernet Sauvignon, and bits of Petit Verdot, Cabernet Franc, and Merlot (Cabernet Franc grows splendidly in Virginia, by the way). It is maturing quickly, and very nicely, able to be drunk now but certainly something to hold onto as we see what it will turn into as it continues to age in the bottle in the coming years. We found it to be more approachable today than the Wind Swept Hill, dominated by notes of raspberry and a medley of other dark fruits, a bit of spice, and vanilla.